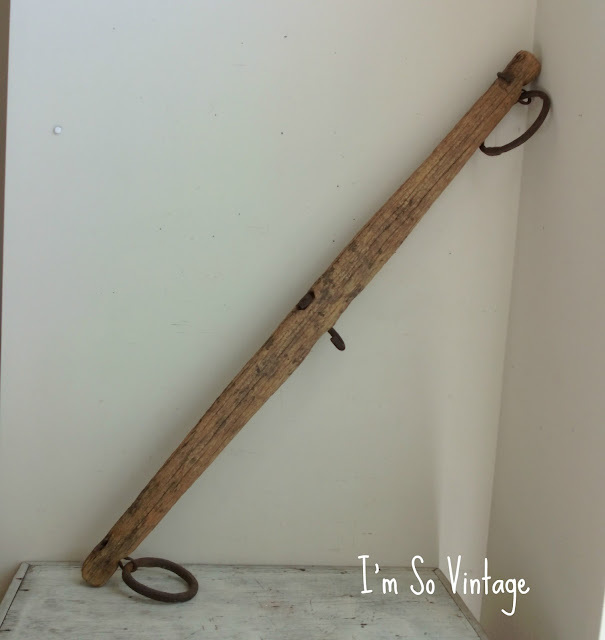 As an antiques and vintage dealer, I am constantly moving things in and out of my house and while things are here, I have to find a place for them. 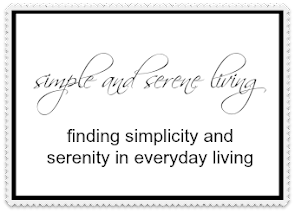 In my current small space, it means finding a shelf here or a wall there and creating a vignette. This wall in my bathroom is perfect for display. It held pretty floral prints in the past, but those sold and so now I have displayed some of my newest farmhouse finds. An old enamel baby bathtub. a wonderful vintage wooden step ladder. an oxen yoke. I was thinking this might be converted into a pot hanger. 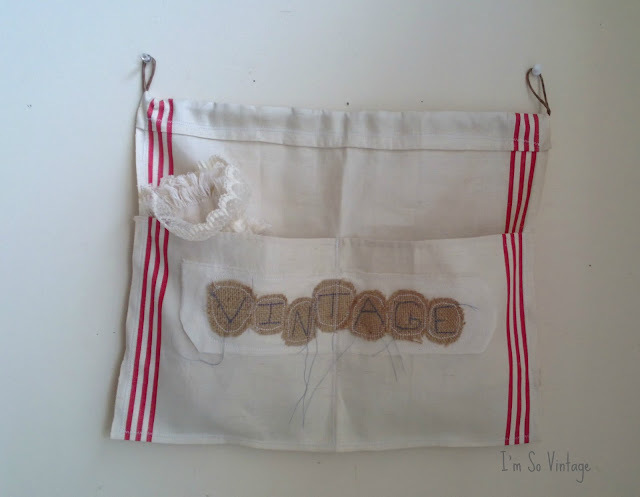 and this wonderful wall pocket my daughter made for me. I will be adding the first three items to the shop. The wall pocket will of course be staying with me. Everything looks wonderful and I wish i was back in the states to "shop" with you. The pocket your daughter made is just perfect. I really like all three of those farmhouse items! Love the idea of using the oxen yoke for a pot rack! That wall area looks nice they way you placed everything together. What a nice vignette and I love the pot holder idea. Very nice and such an "in" look right now. What what old-time farmers' wives would think! Good finds, Laura. Your “blank canvas” corner is a thing of beauty and envy. The yoke may also be used to hold fireplace tools over the wood box. Laura you do find the best things and your displays are always awesome! What a pretty little display! Having a shop is a great excuse to get to change things up once in a while. That wall pocket is so cute! I love it! i think you need to use that for your button or something. :D Of course I love the bottles in your heading and button.....I was thinking about painting them, actually. I hope you're having a great week. Things are definitely looking up around here! Beautiful things. The baby tub steals my heart! The items are lovely...I remember my Granma having those enamel pots...and what a creative way of displaying them, making every wall count. That has to be so much fun to change up your decor so often and earn money doing it. Love the yoke. I have a great place for that ;-), Very nice display. Visiting from Savvy South Style. Have a lovely week! I love the vignette and I have a baby bathtub quite similar to that! How sweet of your daughter...it is adorable! 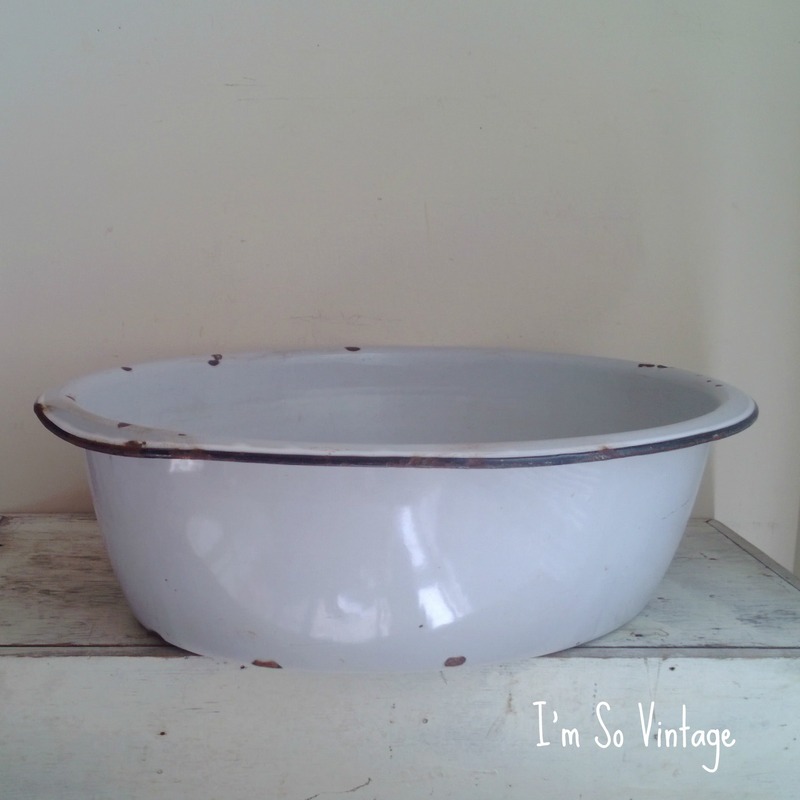 I have seen one of those baby enamel wash tubs,my SIL snatched it up to sell in her both. Your farmhouse finds remind me of the farm house where I grew up. 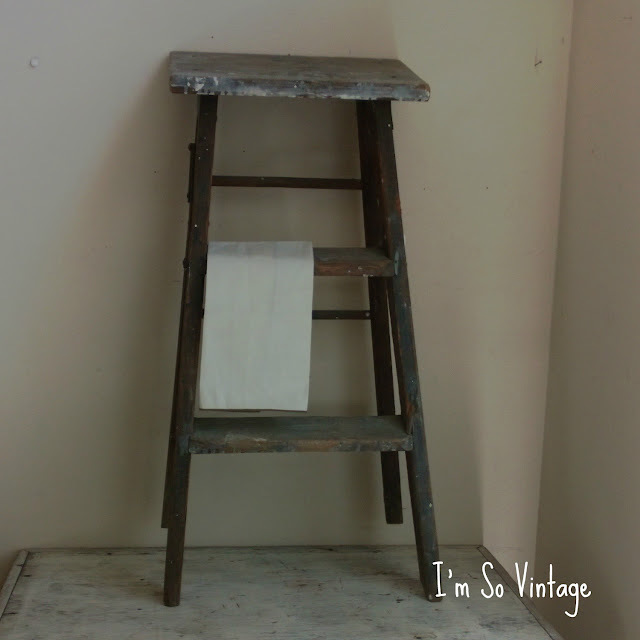 A wonderful step ladder and a sweet enamel baby tub. I like your display. I love the enamel bathtub. Your display is really nice and I guess selling things gets you creative to always have a new display. Great farm house feel to your vignette. Don't you wonder how many babies had baths in that tub? Love your little wooden ladder. I have one similar to that, only taller, down in the basement. It was here when we moved into the house. So there is no telling how old it is. I asked my husband to bring it upstairs for me to use for displaying my quilts. He looked at me like I was crazy and asked what I was going to do about all of the paint spots on it. I told him that is part of what made it look good. Then he asked me what he was supposed to do when he needed a ladder. I suggested we buy a metal ladder. Well, I still have the similar ladder in the basement. Love the vintage ladder and the tub, Laura. Love the baby bathtub! All of it, so pretty!